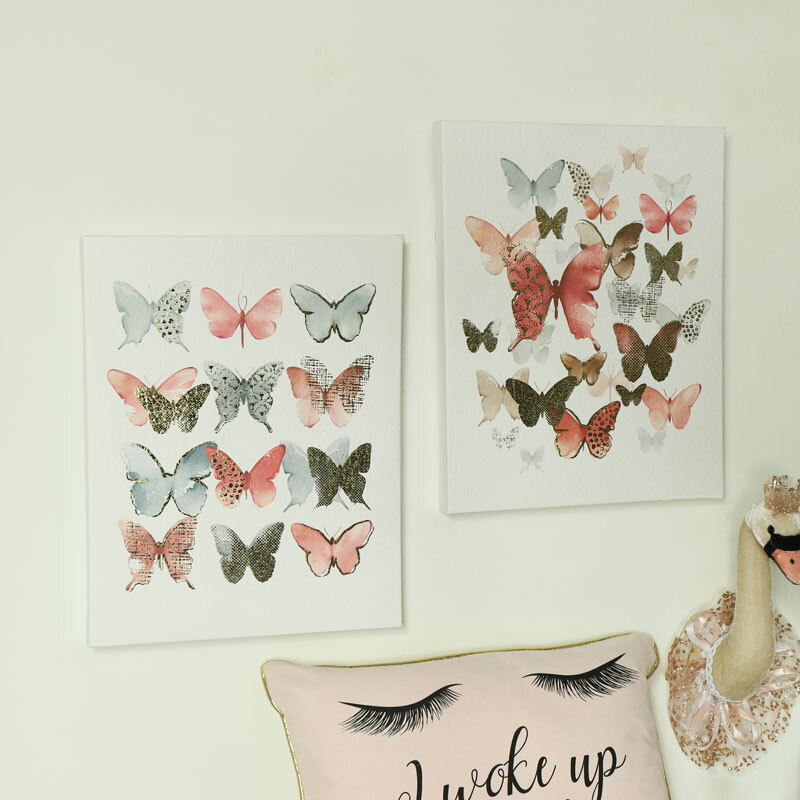 Pair of watercolour butterfly prints on canvas. Add a splash of light and colour to your home decor with this pair of stunning prints. 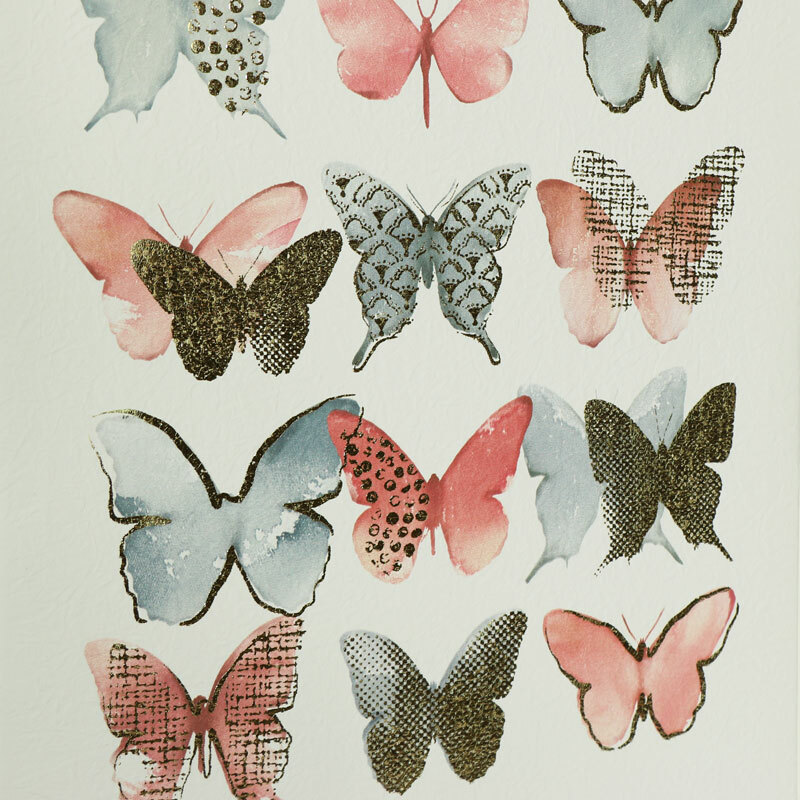 Each print depicts a selection of vibrant butterflies in pink, grey and gold against a crisp white background. Eyecatching and stylish artwork for modern, contemporary interiors. Perfect girly gift or for anyone that loves nature. Pair of watercolour butterfly prints on canvas. Add a splash of light and colour to your home decor with this pair of stunning prints. 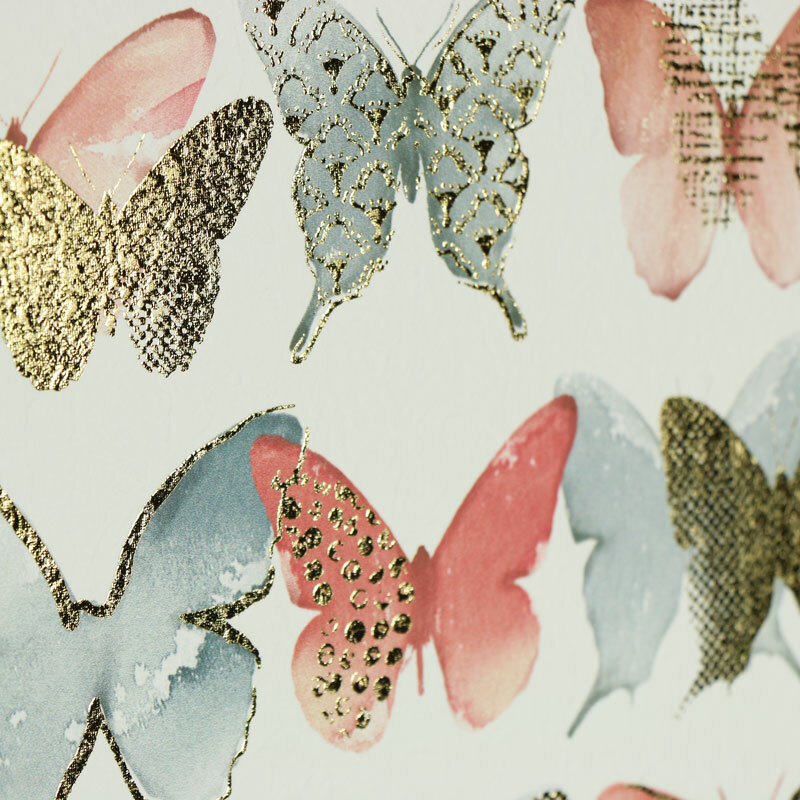 Each print depicts a selection of vibrant butterflies in pink, grey and gold against a crisp white background. Eyecatching and stylish artwork for modern, contemporary interiors. Perfect girly gift or for anyone that loves nature. White canvas with watercolour paints in pink, grey and gold on a wooden frame. Lightweight and easily wall mounted. An excellent addition to our fantastic range of gifts and accessories. Find that perfect gift for every special occasion.